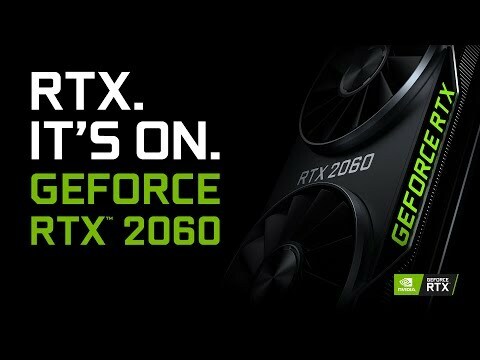 POWERFUL RTX 2060 GRAPHICS FOR OUTSTANDING VISUALS The GIGABYTE GeForce RTX 2060 Gaming OC Pro is powered by the new NVIDIA Turing GPU design and the innovative RTX platform, RTX graphics cards combine real-time ray tracing, artificial intelligence, and programmable shading. With GPU boost clock of 1830 MHz the GIGABYTE GeForce RTX 2060 Gaming OC Pro guarantees an outstanding gaming performance. Keep things cool with GIGABYTE's cooling system which includes a 3D Active Fan and Direct Touch Heatpipes to make sure you get the best performance out of your graphics card. Another feature is the new airflow system to the RTX 2060 where the card's fans have alternating rotations which increases airflow out of the card and improves cooling temperatures. ALTERNATE SPINNING System for Efficient Cooling The GIGABYTE patent “Alternate Spinning” is the only solution that can solve the turbulent airflow of adjacent fans. Since other GPU's use adjacent fans that rotate in the same direction, the airflow direction is opposite between the fans, which will cause turbulent airflow and reduce heat dissipation efficiency. GIGABYTE turns the adjacent fans in the opposite direction, so that the airflow direction between the two fans is the same, reducing the turbulence and enhancing the airflow pressure. GIGABYTE CUSTOM-DESIGNED COOLING SYSTEM The WINDFORCE 3X cooling system features 3x 80mm unique blade fans, alternate spinning fan, 4 composite copper heat pipes, heat-pipe direct touch and 3D active fan functionality, together delivering an effective heat dissipation capacity for higher performance at lower temperatures. HEAT PIPES DIRECT TOUCH GPUThe shape of the pure copper heat pipes maximize the direct contact area with the GPU, enhancing heat transfer. The heat pipes also cover the VRAM through a large metal plate contact to ensure proper cooling. 3D ACTIVE FANThe 3D Active Fan provides semi-passive cooling, and the fans will remain off when the GPU is in a low load or low power game. It allows gamers to enjoy gameplay in complete silence when the system is running light or idle. COMPOSITE HEAT-PIPESThe composite heat-pipes combine thermal conductivity and phase transition to efficiently manage the heat transfer between two solid interfaces which increase cooling capacity.